Dr. Guirguis believes in dental care that is comfortable and completely focused on your needs. He believes in honesty, kindness, and respect. He takes the time to listen to his patients and always has their best interests in mind. 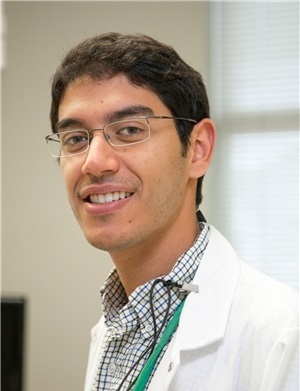 Dr. Guirguis received his bachelor’s degree at the University of Virginia, where he graduated with distinction. He went on to receive his Doctorate of Dental Medicine at the University of Louisville, which boasts one of the best clinical programs available. Dr. Guirguis is passionate about leading-edge dentistry. His continual quest for further education means he enjoys and actively participates in a broad range of hands-on dental courses all over the country. In addition to being a General Dentist, Dr. Guirguis also has training in specialty fields such as Orthodontics, Endodontics, Implant and Cosmetic dentistry. Dr. Guirguis is a lifelong artist, which, combined with his attention to detail, means that he strives to provide beautiful esthetic dental treatment with ideal form and function. When he is not at the office, Dr. Guirguis enjoys spending time with his wife Sara, exploring Fredericksburg and Northern Virginia, reading, cooking, painting and playing golf. He is also very active with his church and loves participating in ministry and outreach programs. He is looking forward to meeting you, so make an appointment today! If you were wondering, his name is pronounced, "Gur-gis" or you can simply call him Dr. G!